Dharam Mann, MD founded Garden State Medical Center in 2004 with a single goal: to provide state-of-the-art treatment for people suffering from acute and chronic pain. 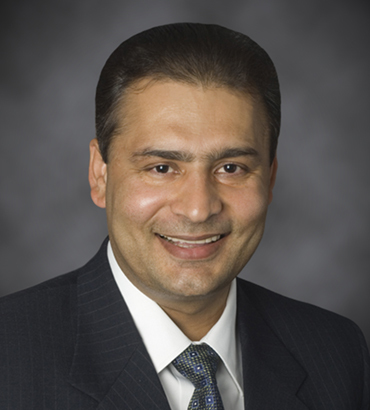 His superlative team, which includes Dr. Manjula Singh, Dr. Samir Jani, and Dr. Sarah Choxi now provides cutting-edge care at 8 New Jersey offices as well as at Manchester Surgery Center in Whiting. Patients of this multispecialty practice appreciate having their pain issues expertly diagnosed and treated at one close-to-home location. “They benefit from advanced imaging technologies and efficient, timely care,” says Dr. Mann, who is fellowship trained and board certified in anesthesiology and pain medicine, and has additional training in echocardiography. This six-time New Jersey Monthly Top Doctor spends extra time with people to assess the cause of their pain and to educate them about traditional and alternative treatment options. When appropriate, he skillfully performs spinal cord stimulator implants, steroid injections, nerve and joint blocks, dorsal root ganglion (DRG) stimulation, platelet-rich plasma (PRP) injections, radiofrequency ablations and kyphoplasties. I tell everyone about my spinal cord stimulator and show them how it works. I let them know how it has changed my life. I went last week to my regular Dr for my 4 month check up and lost 4 pounds! I think it is because of the stimulator and I am moving and doing more! Dr. Mann has changed my life for the better! Has a magical touch, fantastic bed side manor. Caring, knows how to analyze your problem and approach it the best way possible. I was very lucky to find Dr Mann, his staff are very friendly and have always provided quick courteous answers.